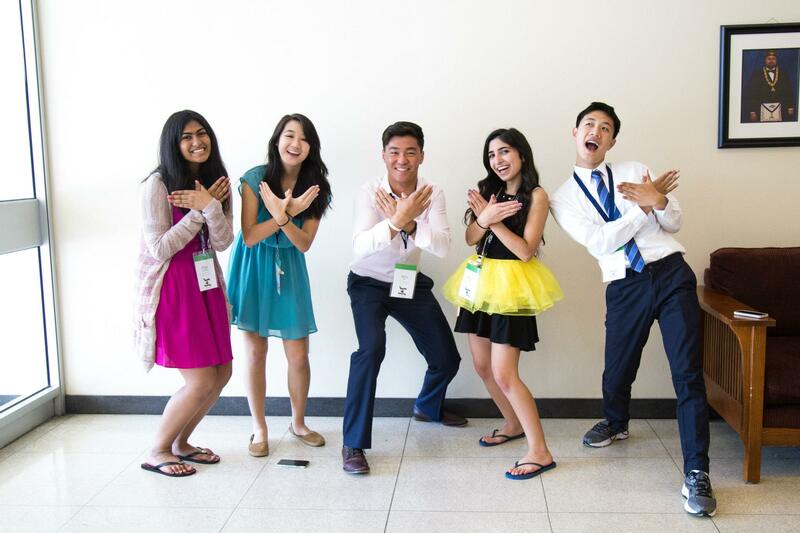 In June, grade 11 students Riya Chandra, Alex Mo, Eddie Shiang and Haley Tran attended the Hugh O’Brian Youth (HOBY) Leadership Seminar. Each year, rising high school juniors are nominated by their schools to represent their classes. These representatives then meet at HOBY events to build leadership skills through various activities and lectures. “The environment is inspiring, the people are brilliant and the experience is life changing,” said Mo. Also at the event was Mary Najibi, grade 12, who was volunteering at the event as a junior crew member after attending last year. The experience made a lasting impression on the students, who in addition to bolstering their leadership abilities, forged new friendships. “I made tons of friends and we even still keep in touch through social media. It’s amazing that just in three days, I formed such amazing friendships!” Chandra exclaimed. “In the few days that I got to meet these students, I can honestly say that they have changed my life,” Mo said.